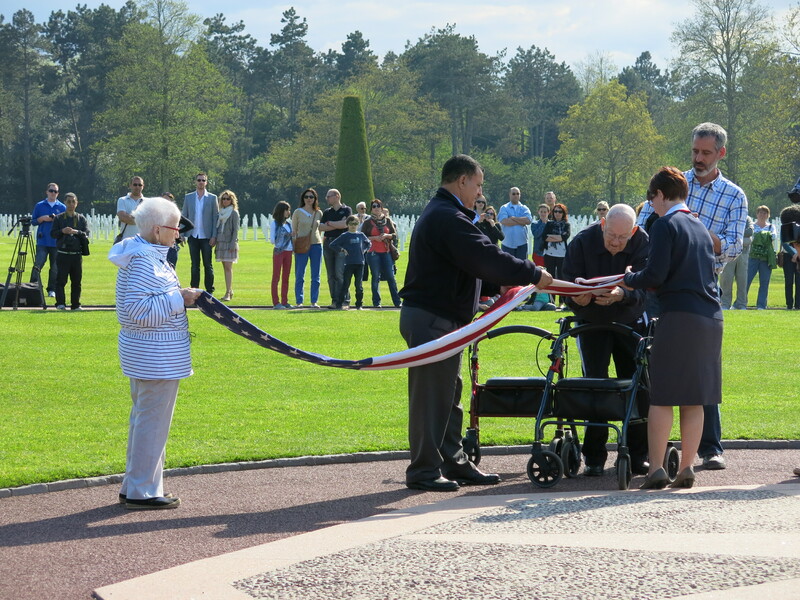 So much more could be written about everything he experienced during WWII, everything his young wife who waited for him experienced, and I kind of touched on it here, but today, on the 70th anniversary of D Day, I’d like to focus on a trip we all took last May to Normandy, France. My grandfather was granted a wish by a non-profit that gives back to seniors for everything they have given to us called Wish of a Lifetime. 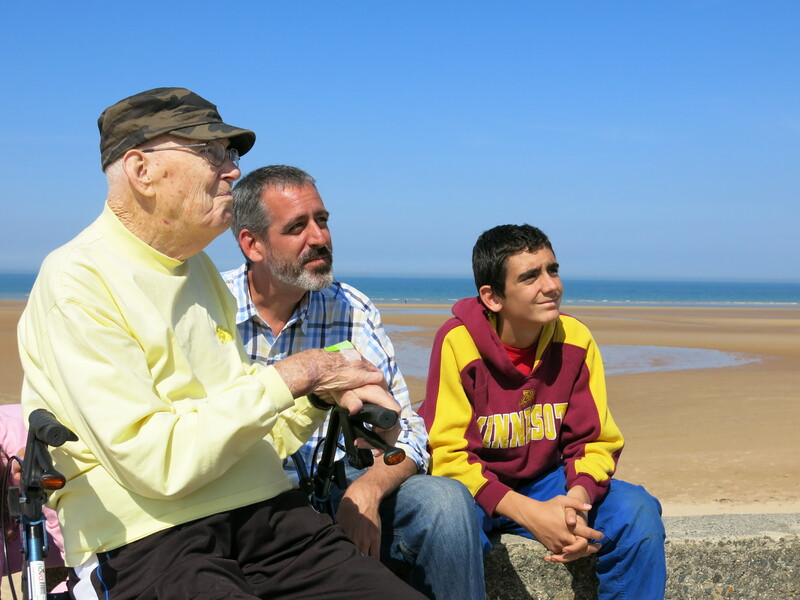 His wish was to take his oldest great-grandson, my Liam, to Omaha Beach. Liam is the only child I know who has spent more time than I did listening to Da’s stories about WWII and, not surprisingly, Da is his hero as well. Never in a million years did we think this wish would be granted because it would be such a big undertaking, but the foundation decided it had to be done (you can learn more about the details here) and we decided we had to go as a family. 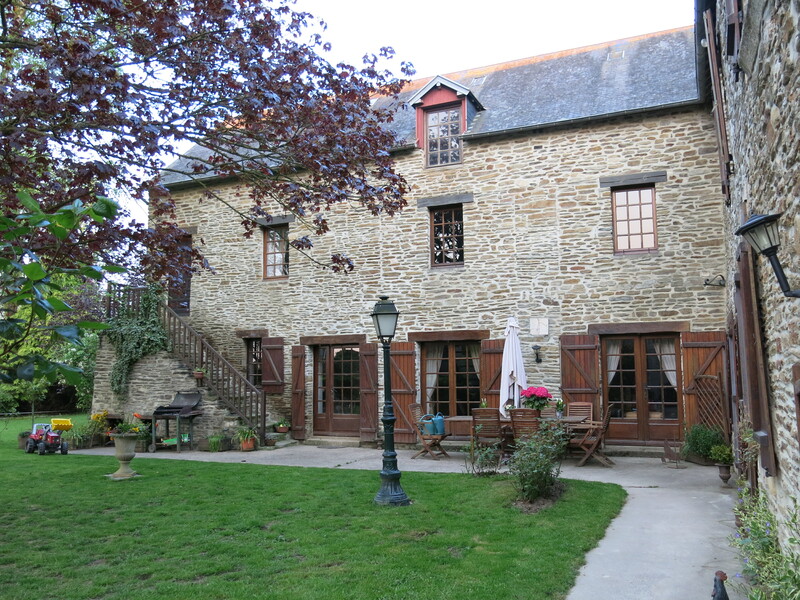 We asked the foundation to please give Liam’s plane ticket to my Nana, we would pay for Liam’s ticket and then all meet in Paris to make our way to Normandy. 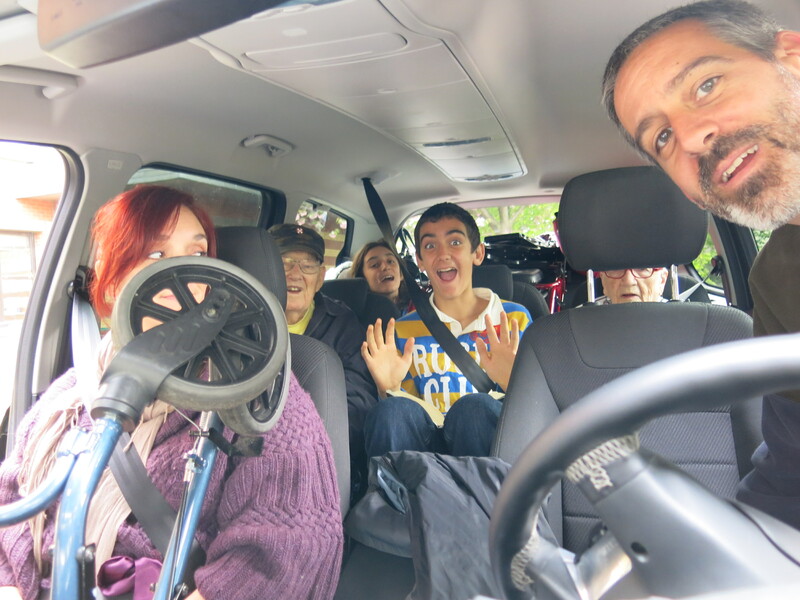 The foundation was incredible in helping to organize everything, and, eventually, this huge thing happened and we ended up in this minivan–that’s the seven of us with two walkers about to drive from Paris to Normandy, we were a bit scrunched! 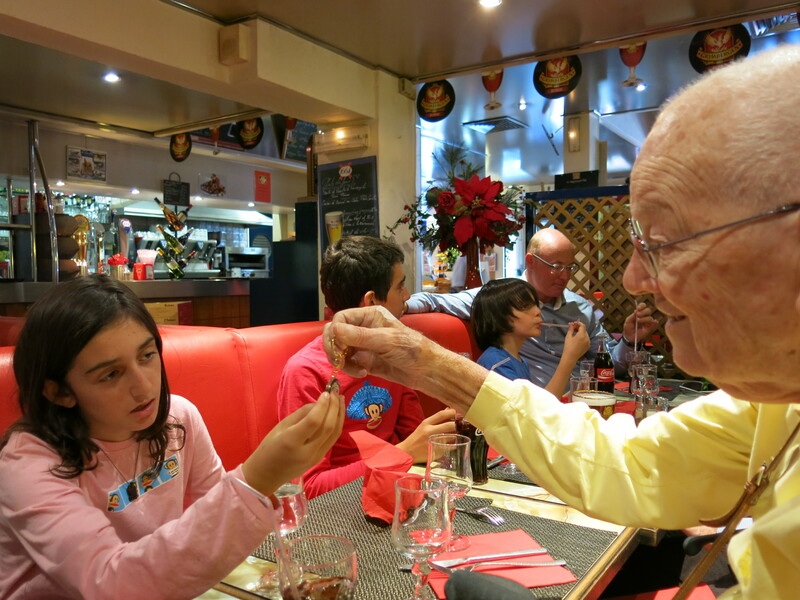 We arrived in Normandy, decided to grab some lunch after we got Nana and Da checked into their hotel, and what should have been an easy breezy bite to eat ended up in a trip to hospital for my Nana. 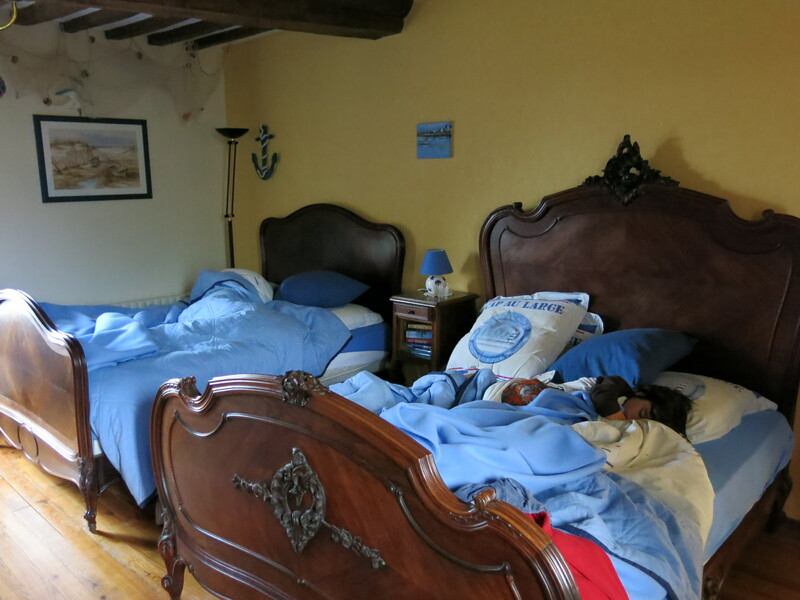 All the travel fatigue, and the cobblestone streets, caused a bad fall but , thankfully, we were very near to a hospital. Ultimately Nana, while very bruised and bloodied, was given a clean bill of health from the doctors but they wanted her to spend the night so they could observe her. Eric, my husband, had been the one who was back with her while we sat in the waiting room because they only allowed one person at a time with the patient and he speaks French. Before we left he talked the staff into letting me bring my Da back to see Nana. The memory of the two of them when they greeted each other is still so strong, Da reached out and took Nana’s hand, his face absolutely lit up with love, they spoke, she patted his hand, he leaned over and kissed her cheek. The love my grandparents have for each other, after decades together, is simply amazing and they are never happier than when they are together. 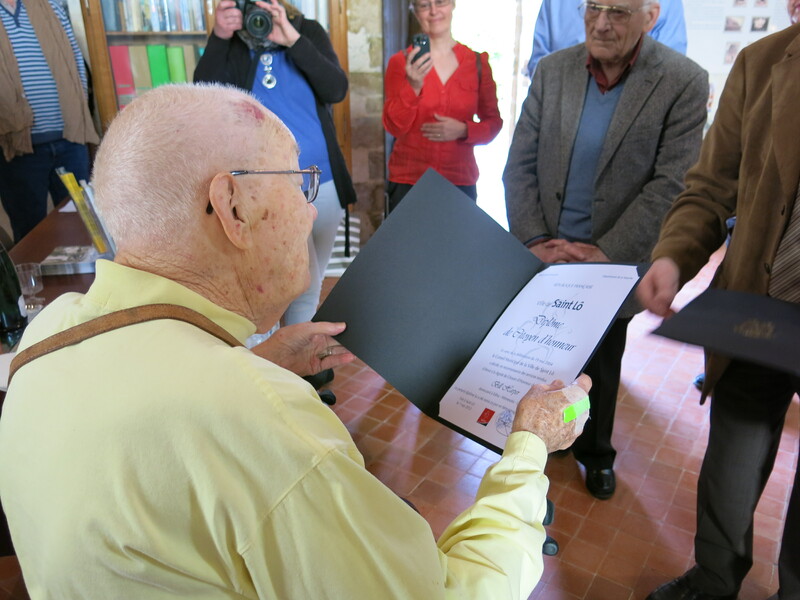 Then we started our whirlwind of a day, which included a ceremony in Saint Lo where there is a church that has been turned into a museum dedicated to the American soldiers who helped to liberate France, the mayor of Saint Lo presented my Da with a certificate of thanks and granted him honorary citizenship of Saint Lo. 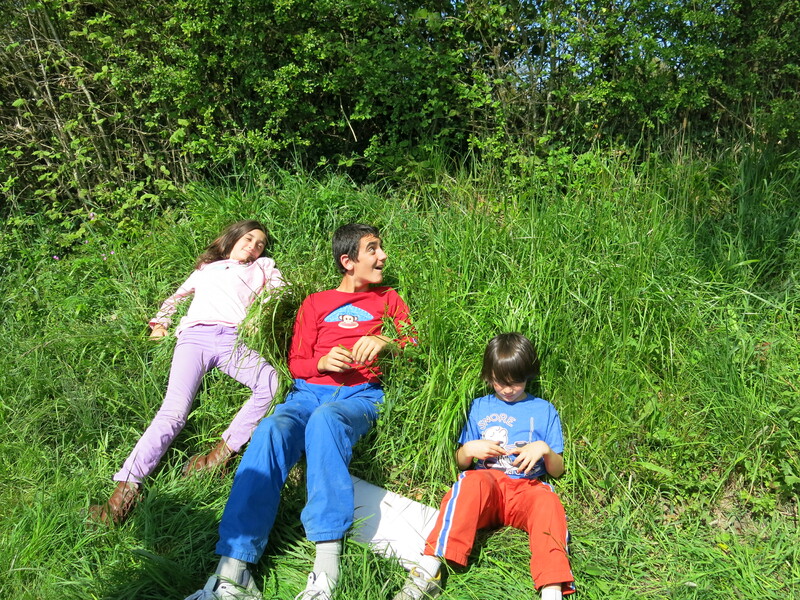 and the children got to lay down in hedgerows and learn all about the important part the rows played in the battles. Somewhere in the midst of that Eric was able to go to the hospital and get Nana checked out so she could join us for the rest of the tour, and we continued on to Omaha Beach, which was a pretty incredible experience. To finally be at this place we’d been hearing about for so many years, and to be there with Nana and Da, is something I won’t even try to put into words because words just can’t contain it. 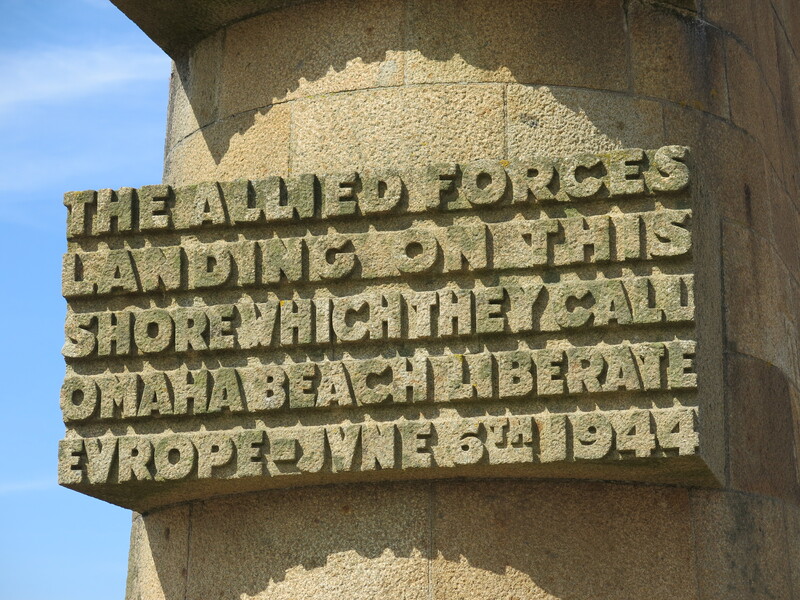 We sat there, listening to Dale talk about the battle of D Day, finally seeing where the men had landed, where the Germans had been with their guns, finally seeing the beach that had shaped so many people in so many ways. Our youngest, who was six, had wandered off to play on the beach. I watched him dig his fingers into the sand, jump over puddles of water, search for shells and rocks, and I was thinking of how this beautiful, peaceful beach had seen so much carnage, how so many men had lost their lives here; and there was my baby, playing in the sunshine on this almost mythical beach. 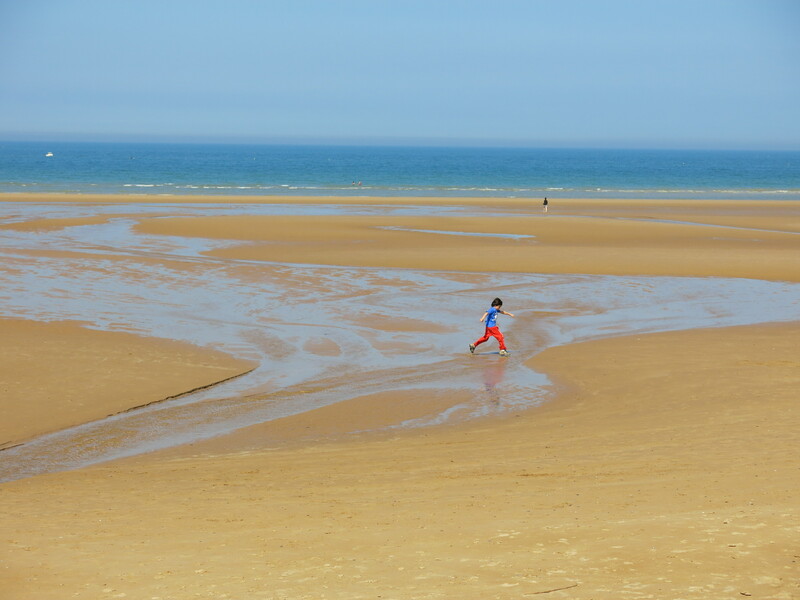 Omaha beach, once a place of horror, was now a place of joy where children were free to run. Da, Eric, and Liam listening to Dale talk about the battle. After the ceremony we were chatting about the day, making sure Nana and Da were holding up okay, when an American approached Da and asked if he could shake his hand, Da held out his hand and the man thanked him for his service, Da was visibly touched. One by one, surrounded by the silence of this sacred cemetery, American tourists and French citizens came up to Da to shake his hand and speak quietly to him–“thank you for your sacrifice,” “thank you for helping to liberate my country,” “thank you for being part of the greatest generation.” My children and I had eyes that were filled with tears at this outpouring of love and respect. 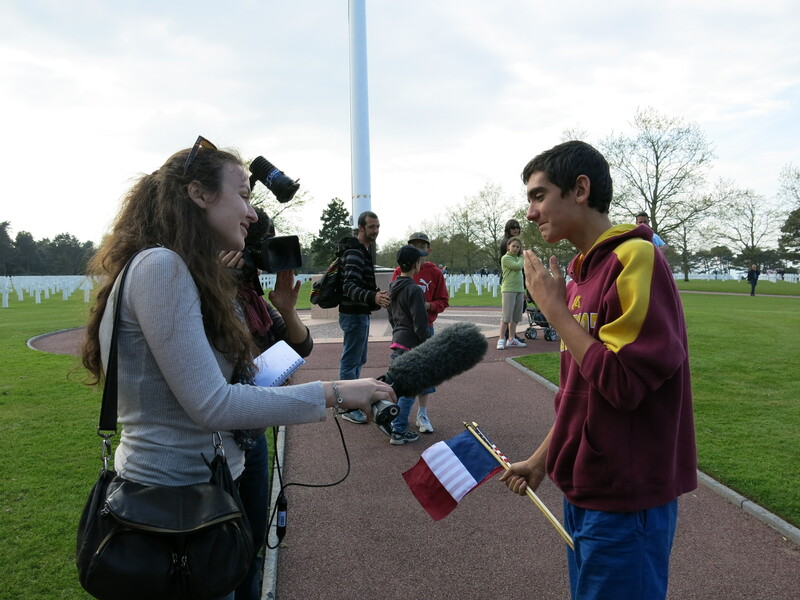 A reporter came up to us and asked if she could interview Da and Liam, Liam had a hard time keeping it together because he was so emotional but he explained it was because this was such a dream come true for him, to be in Normandy with his great-grandfather, who was his hero. For so long, men who served in WWII felt that they couldn’t talk about what they experienced because, they believed, nobody cared, I’d heard this from men that Da had served with. Many years have passed since the time when Da could no longer hold his stories and experiences inside, I was lucky enough to be there when he decided he needed to start talking about it, and Da has always known that his family cares deeply about what happened in WWII and, specifically, on D Day; each stranger who expressed their thanks and respect to Da showed him that we are not alone in caring and in being grateful and we, in turn, were grateful for their kindness and for helping to make this journey of a lifetime complete. A few hours ago I got some startling news, I’m thinking maybe writing about it will help me process it a bit because, at this moment, I have tears in my eyes (the good kind) and I am simply overwhelmed. 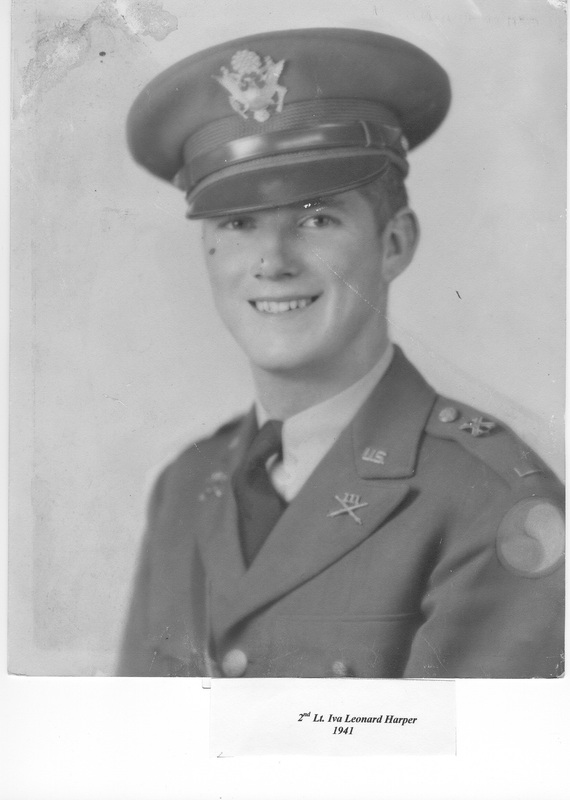 In a previous post I wrote a letter to my grandparents on the 68th anniversary of D-Day, the anniversary of when my grandfather (whom I call Da) and other young soldiers stormed the beaches of Normandy. The anniversary of D-Day has always been a huge deal in our family. Growing up I spent afternoons sitting and listening to my Da tell his stories about WWII and I was fascinated (it should be stated, I worship my Da and anyone who has ever met him will know why, he’s a remarkable man). 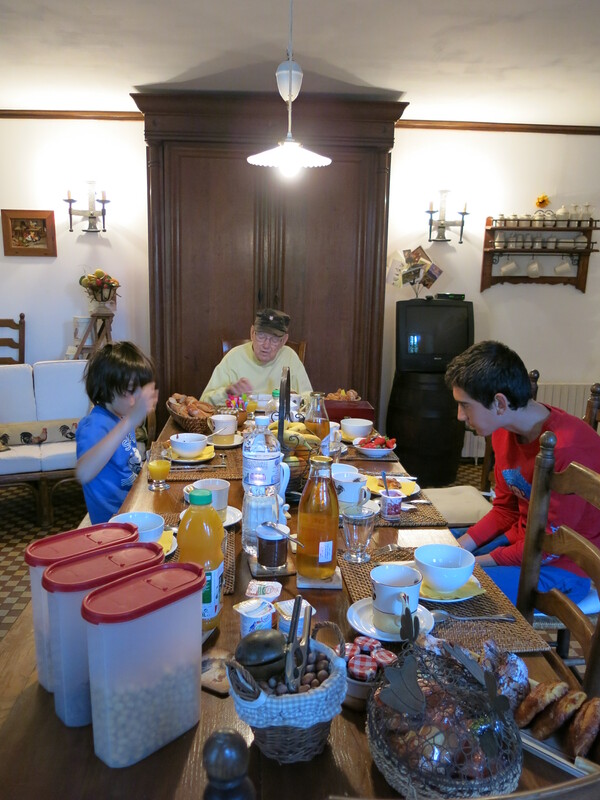 Our oldest son, Liam, has grown up fascinated by his Da’s stories as well, he takes every opportunity he has to talk to Da about WWII and, in particular, D-Day. 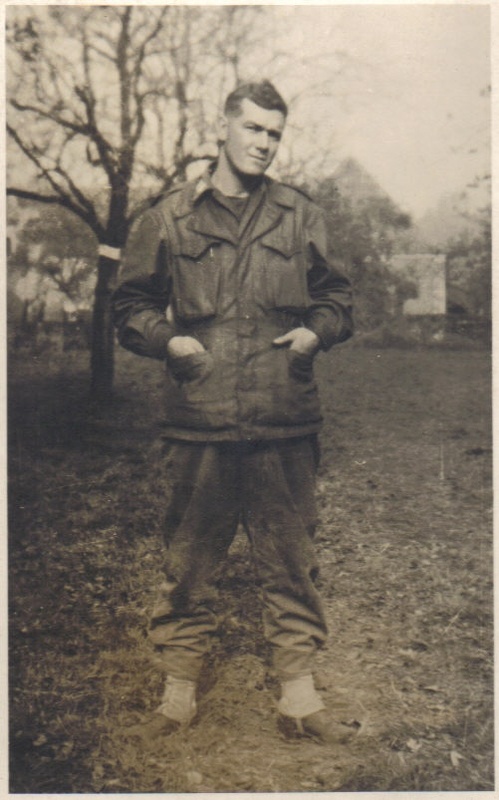 When Liam was very young Da gave him the dog tags he wore in WWII and, years later, they are still Liam’s most treasured possession. The care he takes with those dog tags exemplifies the love and admiration he has for his great-grandfather–it is limitless and Da is truly his hero. Not only because he bravely fought for his country but also because, in the midst of all the suffering and pain of war, he never lost his humanity and gentleness, for Liam, that is heroic. So, on to the news. When we were in Minneapolis a few weeks ago Da was told about a remarkable non-profit foundation called “Wish of a Lifetime,” an organization that works to give back to seniors by helping their greatest wishes come true. Da decided this was something he wanted to participate in and, as it has been a dream of his for many years to take Liam to Normandy, he submitted that wish. He wanted to go with him to the beach where so much happened, the beach Liam has always seemed to understand the significance of, even when he was very young. I was extremely touched that this would be his wish, as was Liam, but I kind of put it out of my head because I just couldn’t imagine that it would become a reality. Then today I received an e-mail saying that Wish of a Lifetime had chosen Da’s wish as one they wanted to help make happen. 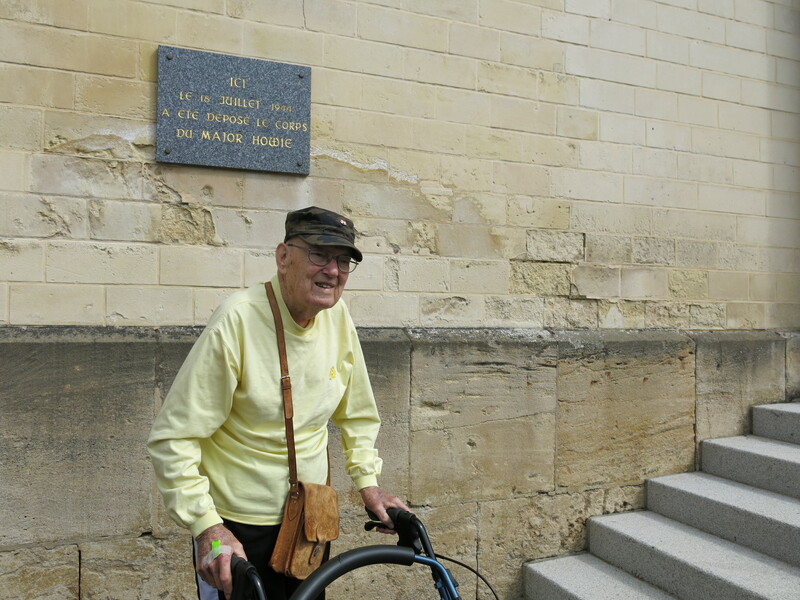 Airfare from Minneapolis for two people, train trip to Normandy, six days in France, tours arranged by the foundation–the whole package. I sat staring at the computer screen, I came just short of pinching myself back into the present, I was completely blown away. Since we’re in Costa Rica this will be a logistical challenge for us but my husband and I are determined to make this once in a lifetime experience happen, whatever we have to do. 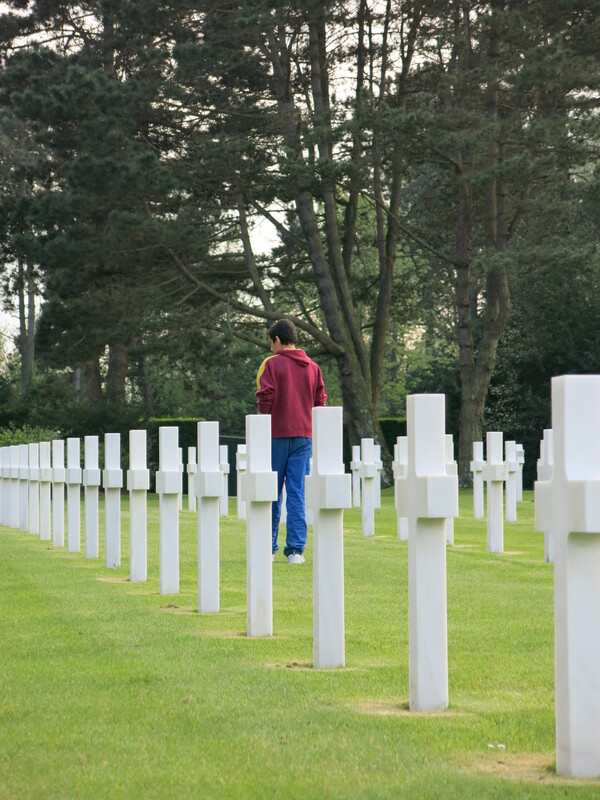 Going to Normandy with Da is something my family and I have talked about doing for as long as I can remember and, frankly, I am kind of in a state of shock and disbelief that it is actually happening–and that my children will be there to experience it. See? There I go, with the tears again. When I close my eyes and picture my Da and Liam, his namesake, standing on that beach together, I can’t even articulate the feelings I have; awe, profound love, an overwhelming sense of being grateful not only for such a stunning experience but for having those two in my life. 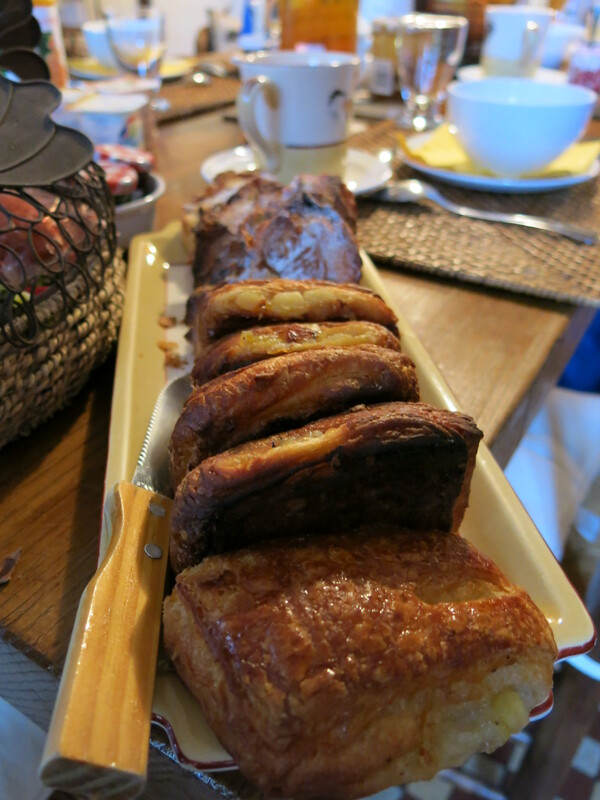 What a gift, just, what a gift. My grandfather, my son, coming full circle together to a beach that once was hell, to a beach that became sacred, to a beach that will become a place for a remarkable connection to history, to each other, to passing on what is important in life–the love of a great-grandfather for his great-grandson and the love of a great-grandson for his Da. The two of them, standing hand in hand, staring at the sand and the sea that was once covered in the bodies of young men who sacrificed everything, young men who were my Da’s friends, young men he risked his life for time and again. That lesson, the touching of what has gone before us, of what has been sacrificed for our freedom, of what a young man was willing to go through in order to protect his great-grandson who would one day stand with him on that beach–it is a circle, it is sacred, it cannot be severed after it has been closed. Those two will close that circle together, as it should be. On this day, especially, I am thinking of you both. This day, this anniversary, is a day that my childhood and my adulthood center around in a way that is unique. There are many other days of profound importance in my life–the day I got married, the days my children were born, the day my Grandmother Troje died–but those are days in adulthood and I simply cannot think of another day that, year after year, shaped me in quite the same way this one did. Maybe St. Patrick’s Day because we always had so much fun. But this day, there just is no other like it. This is the day when I think of a young American Captain, so far from home, storming a beach in France . This is the day when I think of a young bride who knew her husband was in a very dangerous place doing very dangerous things. This is a day when I see myself as a child sitting on your screen porch in Richfield, listening to stories of men who made the ultimate sacrifice and the heartsick women they left behind. This is the day when I think of you, my Da, close to death in hospital, when I was in college. 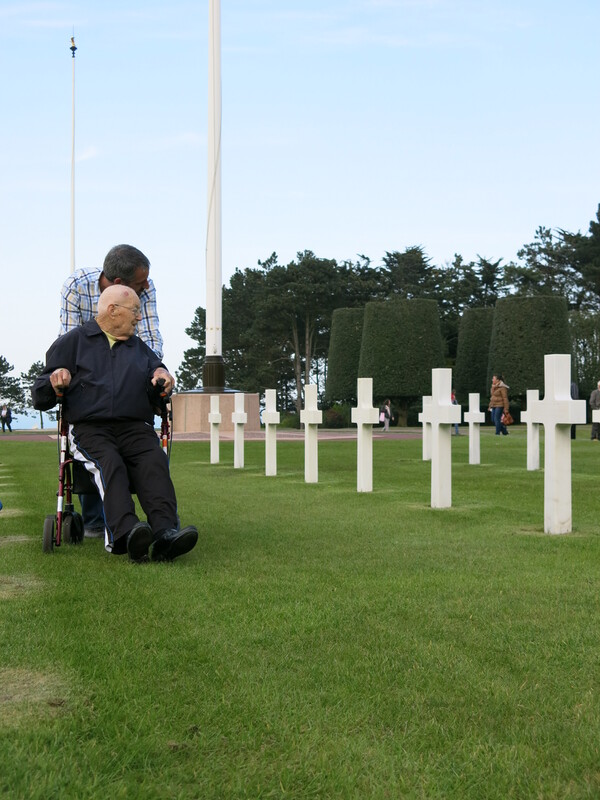 I kept reminding myself that you had survived hell on Omaha Beach, you could survive an illness that threatened to steal you from us and, of course, you did. This is a day when I remember seeing “Saving Private Ryan” for the first time; I sat transfixed and horrified as I watched the scenes of D-Day. I remember feeling like I’d been punched in the gut, thinking of my Da, my kind and gentle grandfather, having to fight in that bloody battle. 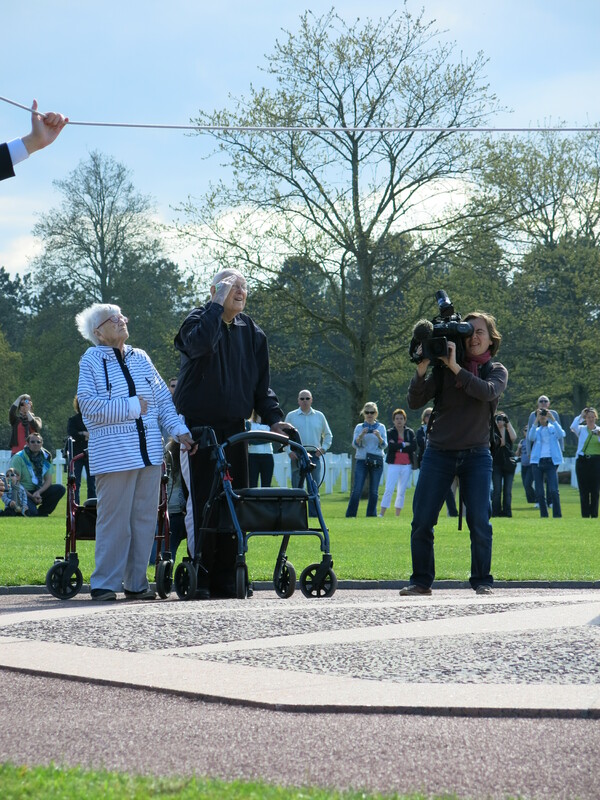 This is a day when I remember taking my first child, just a baby, to the dedication of the D-Day Memorial in Beford, Virginia; we sat under the hot sun, surrounded by men and women who had given so completely to our country. This is the day when I think of last winter; you, Da, sat with that same child, then 10, and chatted with him about what had happened 67 years earlier. You and Liam have talked so much about that day, and the days that followed, and, simply put, you are his hero. And you are mine. Throughout my childhood the two of you were a constant–always there, always strong, always full of joy and stories that I just could not seem to get enough of. The story of how you met is always one of my favorites and, not surprisingly, is now a favorite of my children. Here is how you, Nana, described it in one of the pieces you wrote for the memoir books you lovingly created for your daughters and granddaughters. To set it up, you met on the way to a dance . . .
As I seated myself on the hard wooden seat, the Lieutenant appeared at the back of the truck and asked once again if I would like to ride in front with him. It occurred to me that it would certainly be a more comfortable seat, and Angie, seated next to me, whispered, ‘Don’t be dumb. He’s Cute.’ I accepted, and as the gallant Lieutenant reached to lift me down, I jumped and landed squarely on his foot. Thus I met my love . . . If I close my eyes I can picture the whole scene in my head; the beautiful, dark-haired young woman whose parents immigrated from Ireland many years before meeting the handsome, fair Virginian. The rest is history–a history which I am so blessed to be a part of. Thank you is inadequate but I don’t know how to fully express my gratitude for all you have given me throughout my life, for all you have given my children, for always being examples of strength, perseverance, and profound love. You both embody the reasons that your generation is called “The Greatest Generation.” It isn’t only the sacrifices you made, or the difficulties you overcame, it’s also the grace with which you handled those experiences. You’ve taught me so much about never giving up, about staying focused on the gifts I’ve been given instead of the hardships that life inevitably holds. You’ve taught me to take those hardships and let them teach me, shape me, but never define me. More than anything, when I close my eyes and picture the two of you, I see you smiling, I see you looking at each other with love and joy. I see my Da reaching up to twirl his hair with his fingers–the only other person I’ve seen do that is his namesake, Liam–and my Nana reaching out to pat his hand. I see myself being enveloped in the arms of my Nana because you always greeted me with a big hug. I see us all sitting on the back porch talking, laughing, telling stories. A constant force, the two of you, that’s what you’ve always been for me and, now, for my children, and for my husband who simply could not adore you more if you were his grandparents by birth. For all that, for my mother, for every gift you’ve given me, for every time you’ve listened to me, every hug, every story, every afternoon spent making cookies, every hockey game, every holiday we took to Mackinac Island, every dance recital and performance you attended, every Christmas morning, every swim lesson, every phone call, every all of it–thank you. I love you both more than I can ever put into words.